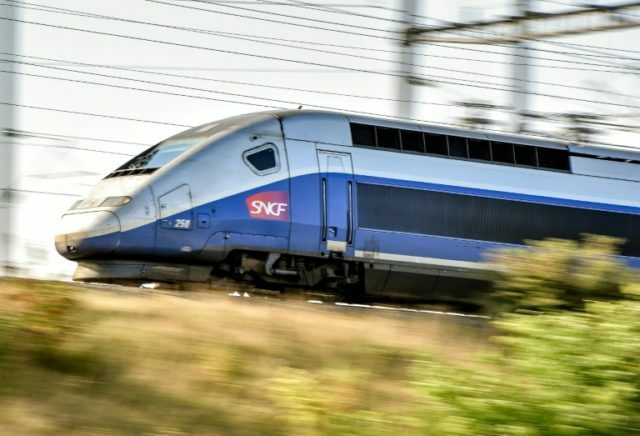 Paris (AFP) – The maker of France’s TGV trains announced Tuesday a “merger of equals” with German industrial leader Siemens in a giant and politically tricky deal to create a new European rail champion. The state-controlled Alstom, the manufacturer of French high-speed trains, which are a source of national pride, called the tie-up with its German competitor “a key moment in Alstom’s history, confirming its position as the platform for rail sector consolidation”. The group headquarters will be in the Paris area and 50 percent of the shares in the new entity owned by Siemens, an Alstom statement said. “We are creating a new European champion in the rail industry for the long term. This will give our customers around the world a more innovative and more competitive portfolio,” said Joe Kaeser, president and CEO of Siemens AG. The Alstom merger with Siemens’ railway division has been mooted for years and completes the transformation of the French group, which sold off its energy business to American rival General Electric in 2015 for 9.5 billion euros ($11.3 billion). The French state has shed its stake in the new entity, which has an order backlog of 61.2 billion euros and a combined revenue of 15.3 billion euros, according to information from the last annual financial statements of both groups. “The government has already made sure that a certain number of guarantees, notably in terms of employment and governance, will be included in the terms of the agreement,” junior finance minister Benjamin Griveaux told the French parliament on Tuesday. The board of directors of the new group will consist of 11 members. Six of them will be designated by Siemens, including the chairman. However, Henri Poupart-Lafarge will continue to lead the company as CEO and will be a board member. “The merger is necessary to challenge the Chinese mastodon (CRRC Corp) which is two to three times bigger than we are,” said Claude Mandart, head of the biggest Alstom trade union, the CFE-CGC, earlier Tuesday. France was a pioneer in high-speed rail travel, which saw its widely admired trains — known as TGVs for “Trains a Grande Vitesse” — frequently smash world records in the post-war era. But Alstom and Siemens have since been eclipsed in size by China’s CRRC Corp, which was formed via a merger of two state-owned firms in 2014 with the aim of producing a national champion able to compete internationally. The French government is believed to have pushed Alstom and Siemens together to create an “Airbus for rail” — a reference to the successful European aircraft maker — which would have combined annual sales of around 15 billion euros. The rail tie-up would underline his pro-business credentials and his desire for a new Franco-German partnership at the heart of a more integrated European Union as it prepares for Britain’s departure. Backers believe the new European rail giant would be more able to challenge China’s CRRC, which is eyeing Skoda Transportation in the Czech Republic as a potential foothold in Europe. It could also leave Bombardier out in the cold, but some press reports have suggested the Canadian group would seek to sell its rail operations to Alstom-Siemens at a later stage. “I obviously hope… that this ‘Airbus for rail’, which is not a bad idea, is not created to the detriment of France,” said the right-wing head of the Paris region, Valerie Pecresse. The CEOs of Siemens and Alstom will hold a joint press conference in Paris at 0930 GMT on Wednesday.